The essentials for simple living. 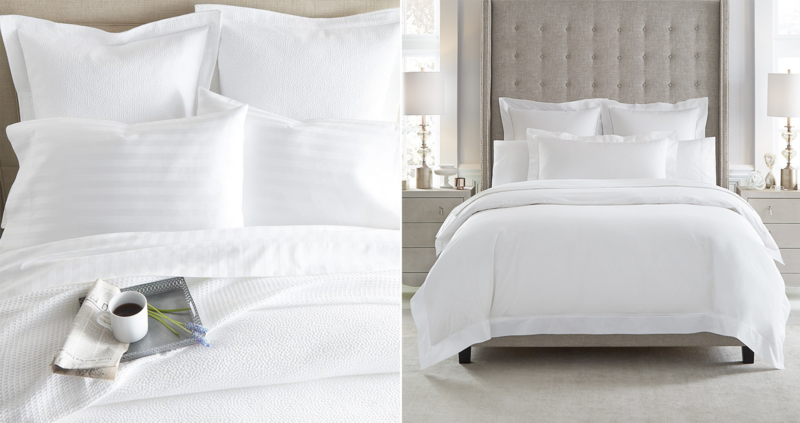 You can never go wrong with simple, classic, clean and crisp all-white bedding. A simple, puffy white duvet cover and matching shams is all it takes to create a bed to come home to, where you can relax and unwind. Regardless of your color scheme in the room, white bedding complements every bedroom style to make a timeless look everytime. If you’re looking for the one versatile item that will grow with you through the years, then this is the look for you! 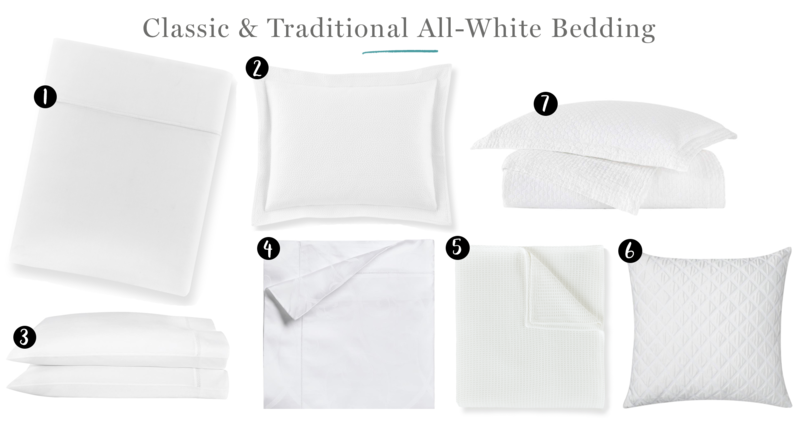 All-white bedding doesn’t have to be boring, but with a combination of clean lines, romantic ruffles and elegant embroidery, this bedding will always keep your space feeling fresh and inviting. 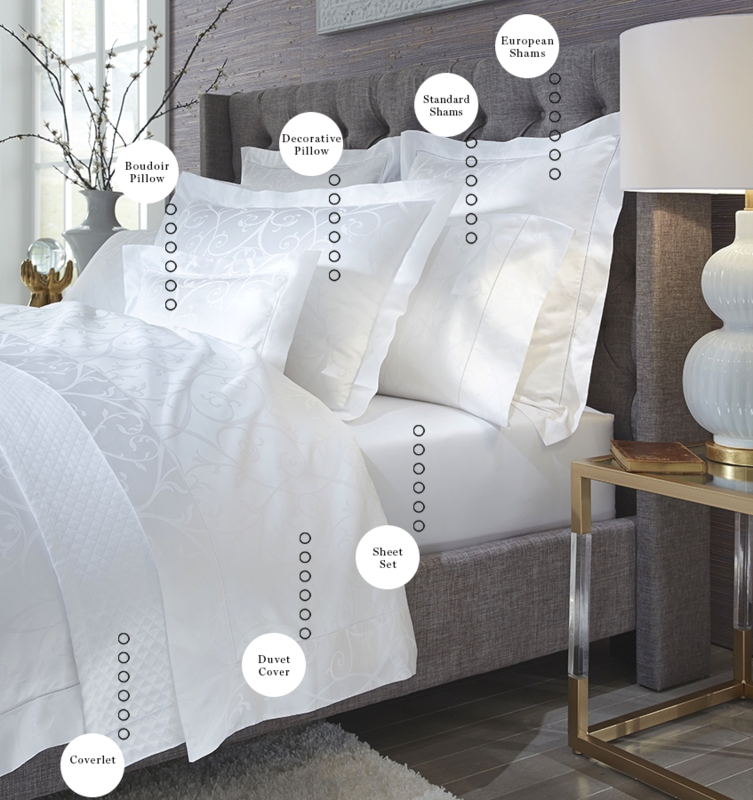 Layering is key when designing an all-white bedding look, but having a base of white linens with throwing in a few earthy and off-white/beige tones is the easiest way to make your bedding design pop and change with the seasons. White is a such a versatile color that even when textures, patterns and materials change, all white pieces from different collections or even brands will always match! Adding a lightweight wool throw over the bed adds a touch of warmth to the cold season while a soft, white linen cotton blanket is the perfect touch for summer days. Don’t be afraid of your white bedding feeling boring and out of style because a bed layered in white is always in season. The bed that reflects your personality and style. Whether you prefer a subtle or bold sanctuary make your bedding design a little more eyecatching by selecting a pattern as its focal point. To mix patterns like a pro there are definitely some key points to keep in mind: scale, color, and balance. When selecting your patterns remember to include a mix of scales such as pairing a large Damask print with small stripes to create drama without making the patterns fight for the spotlight. Not to mention, the mix and variety of patterns is pleasing to the eye. We suggest starting with basics and then mixing and matching patterns. After selecting your spotlight patterns, ensure the colors create cohesion by choosing patterns in completementary colors. Be inventive and blend the color schemes. 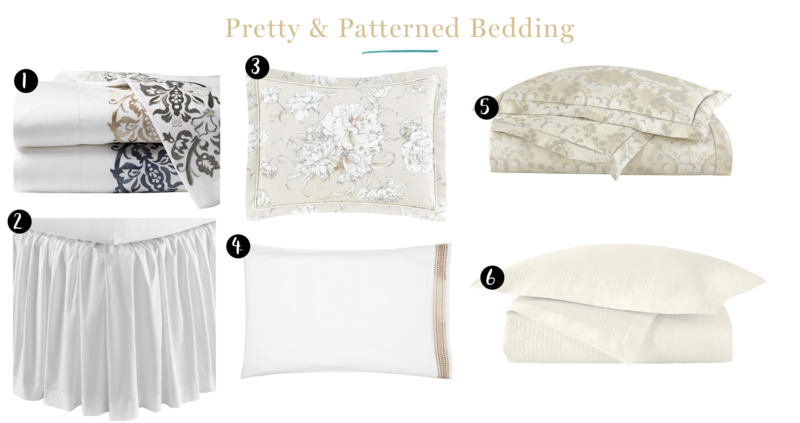 Last, layer your basics and patterns to create a harmonious bedroom! Feeling daring? Go ahead and play with texture in this design to bring in a fun and unexpected pairing. Layering quilts with soft cottons and velvet pillows is one way to achieve a dreamy mix of textures. Mix materials to match the season. Layers don’t only complete the look, but also play an important role in bringing you warmth and comfort. But between all the different thread counts to bedding materials, it can be hard to decide what material will work best with your space and climate! Luckily for you, we’ve put together the materials to layer your bed with in every season and climate! 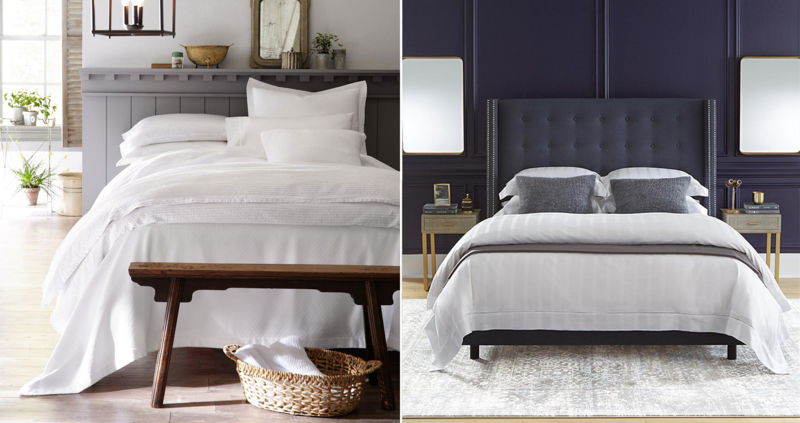 For the cold and chilly winter nights start with layering sateen or percale sheets as they are both made of weave construction and high thread count providing both a luxurious look and a soft and cozy feel. Add percale, sateen or flannel duvets and coverlets to provide you extra warmth in the night. Toss a wool or fur throw blanket on the foot of the bed for the extra chilly nights just extra comfort. Fall and Spring is known as the ever-changing temperature when it’s warm one day and chilly the next! Be prepared for this climate by layering you bed to keep you warm and cool! Sateen or percale work best in these temperatures as they will keep you warm and cool and comfort. 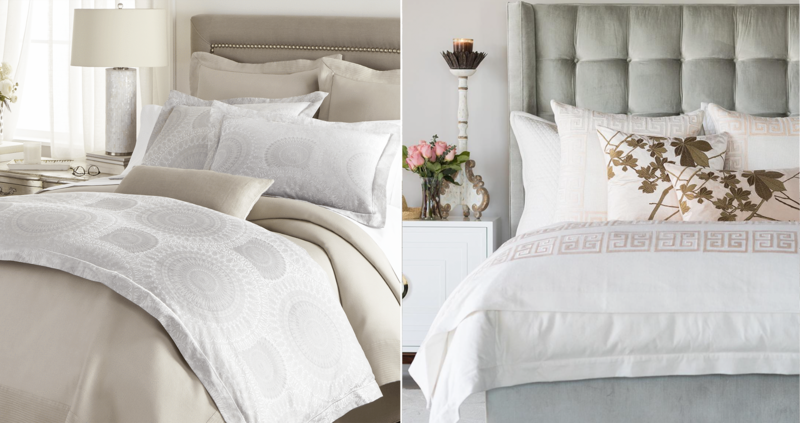 If you’re feeling hot around the clock then you definitely need the bedding to keep you cool! Layer the bed with soft percale sheets and top it off with a light, linen blanket just for the cool mornings. Colors for the ever-changing seasons. Say goodbye to buying a bed in bag, and say hello to mixing is the new matching! 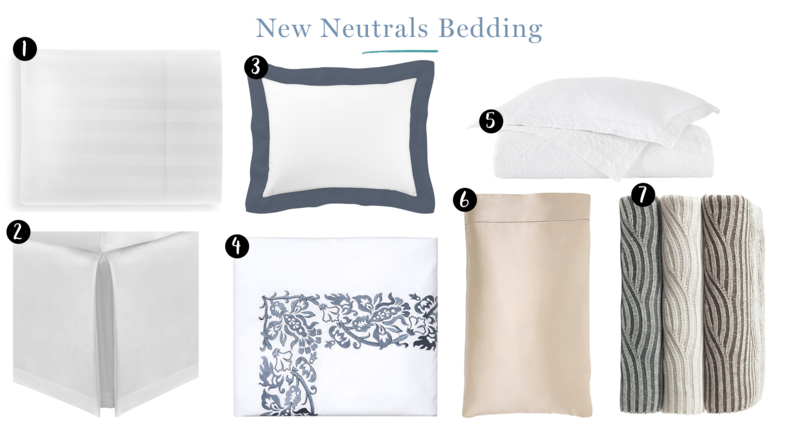 Missing some color in your bedding design, but still want to keep it minimal and relaxing for an airy feeling? These anything-but-basic shades will add some color to your bedding without overpowering the room. The best part? You can easily swap out the colors seasonally to give your bedroom a fresh new look with every changing season. You can also add in some decorative throw pillows for pops of different colors. Mingle shapes and sizes and be creative with your color additions. When mixing and matching color palettes, coordinate your bedding to your furniture for a seamless look. Bright colored patterns tend to pair nicely with dark woods. Single colors or slightly muted patterns go great with modern designs adding elements of metals and woods. 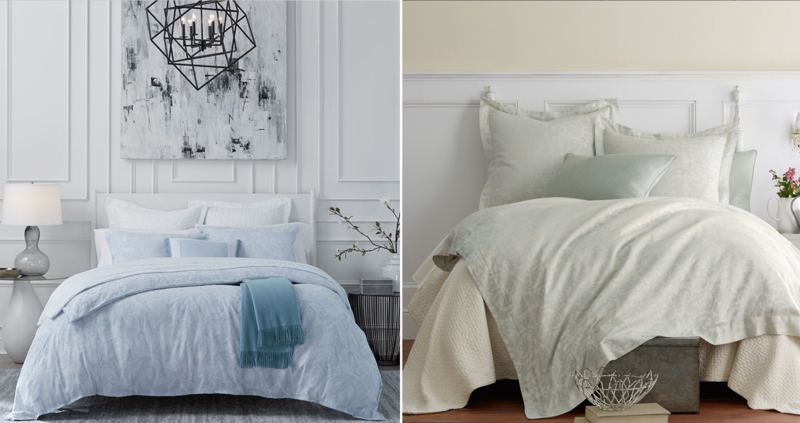 Go ahead and style your bed the way you like it—the possibilities are endless!